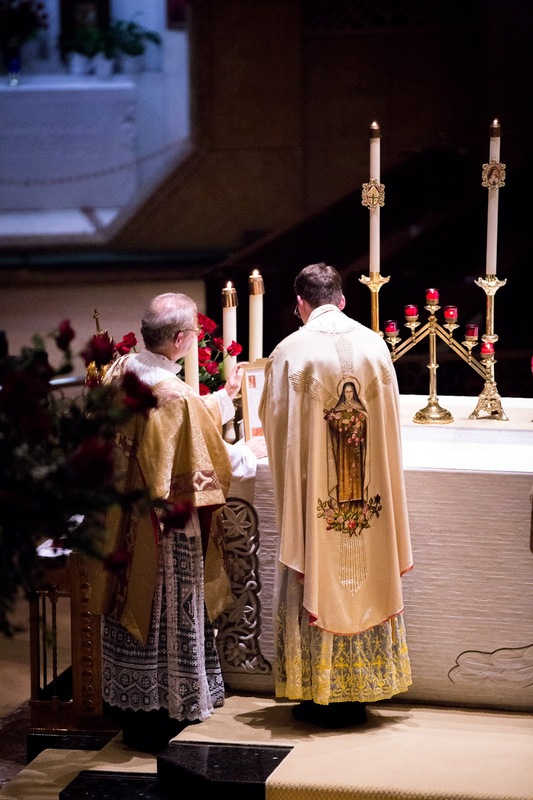 Following a Rosary with meditations in honor of St. Thérèse, a Solemn High Mass in the Extraordinary Form was celebrated by Fr. 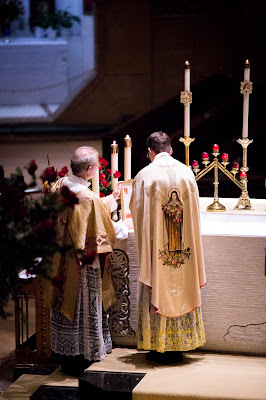 Ryan Adams, the associate pastor of the Shrine Basilica, with Fr. 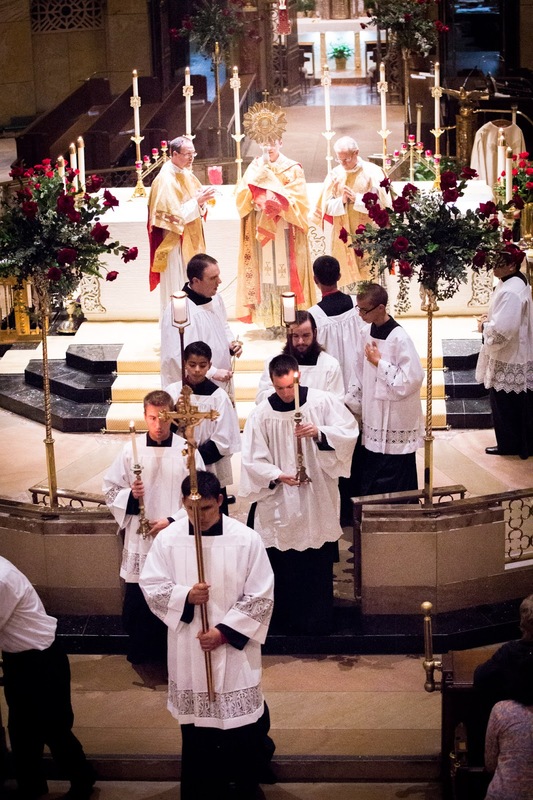 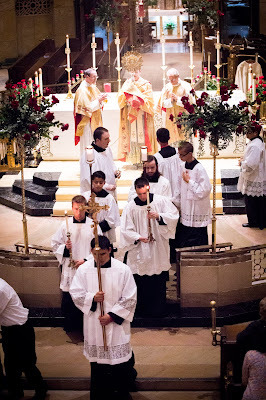 Robert Slaton serving as deacon, and Fr. 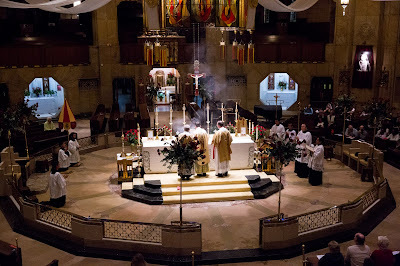 Joseph Tuskiewicz as subdeacon. 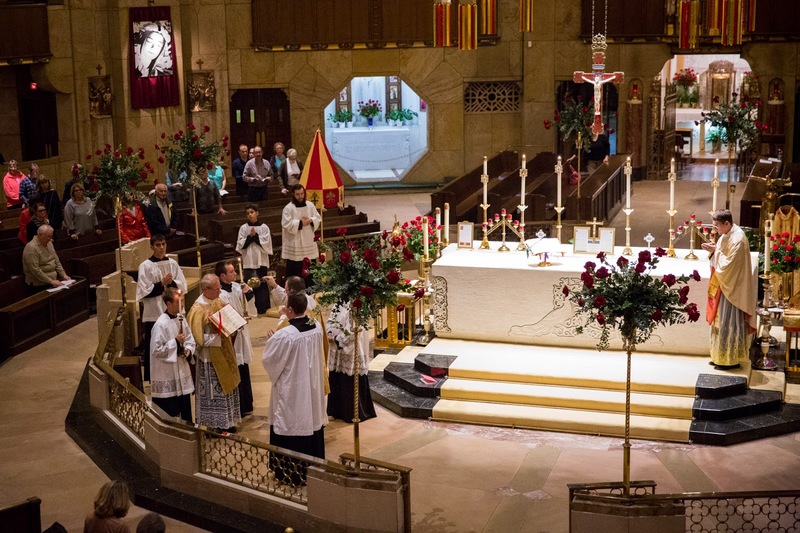 The altar servers were from St. Josaphat Church, which is part of the Mother of Divine Mercy Parish in Detroit, and from the St. Benedict Tridentine Catholic Community in Windsor, Ontario. 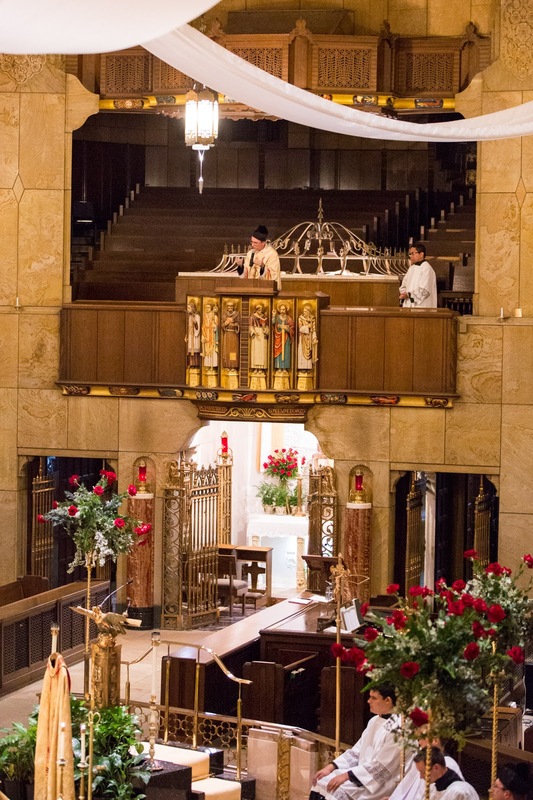 The St. Joseph Cappella, Chant Schola and Soloists (also from Mother of Divine Mercy Parish, but very soon to be of St. Joseph Oratory, along with said St. Josaphat altar servers) sang as guests in the Shrine Basilica. 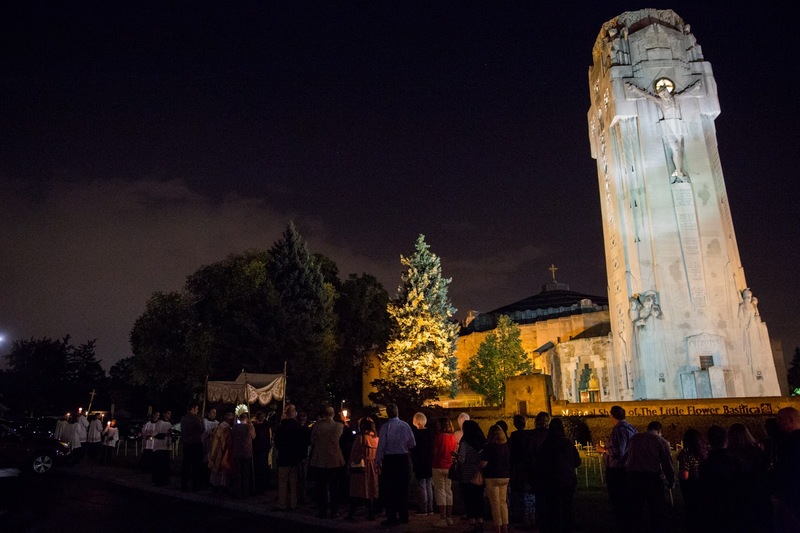 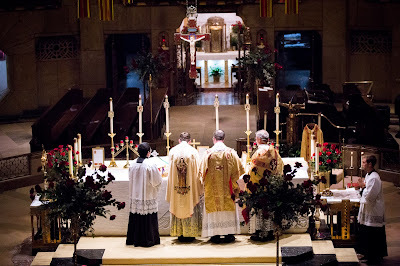 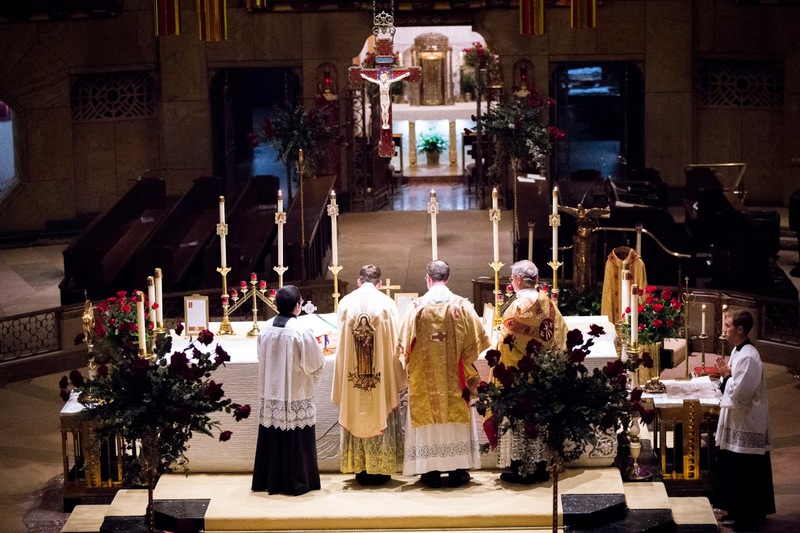 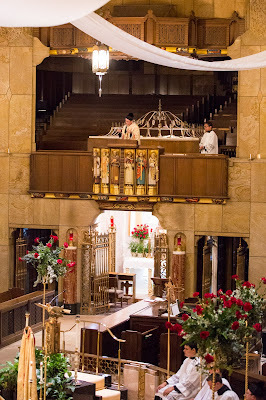 Following the Holy Mass were devotions in honor of St. Thérèse, an outdoor procession of the Blessed Sacrament around the basilica, Benediction, and veneration of a relic of St. Thérèse. 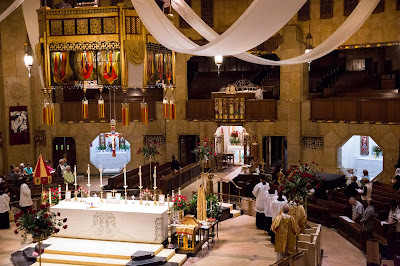 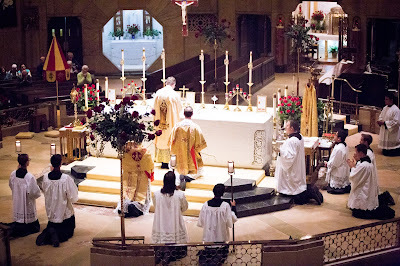 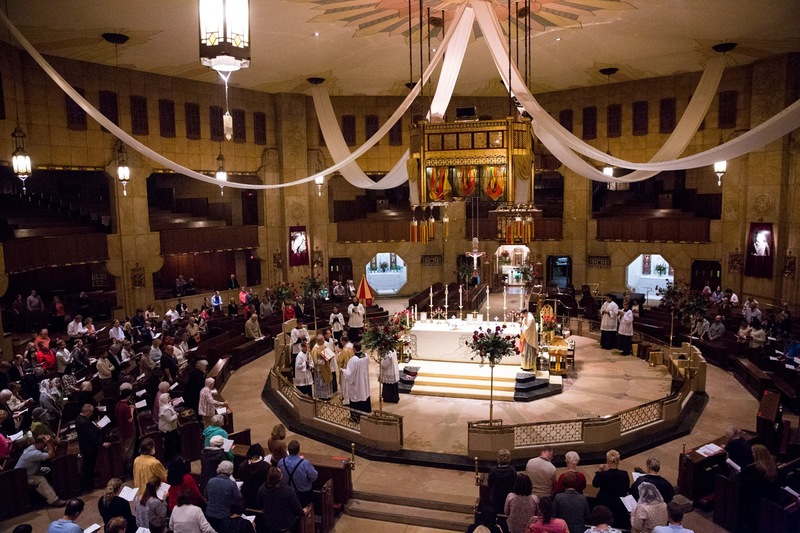 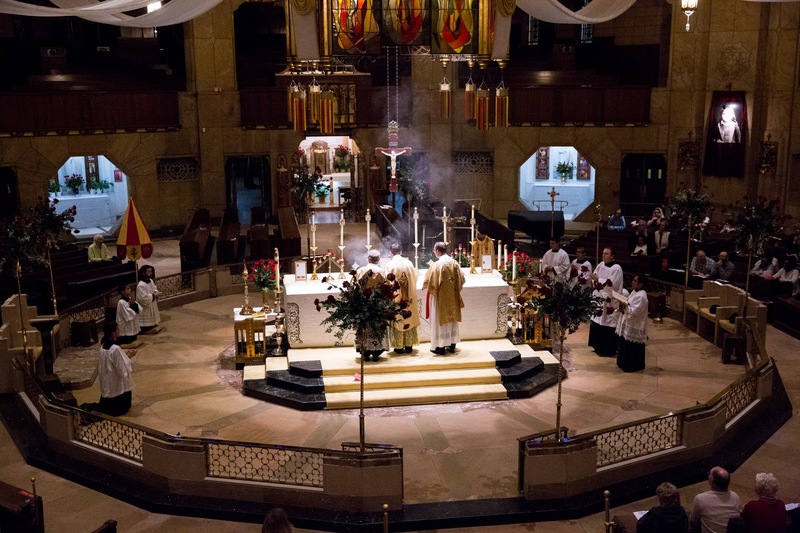 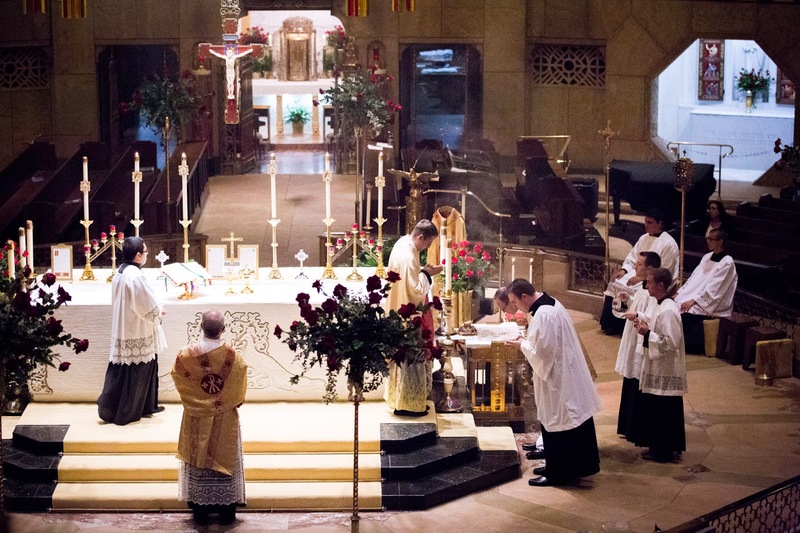 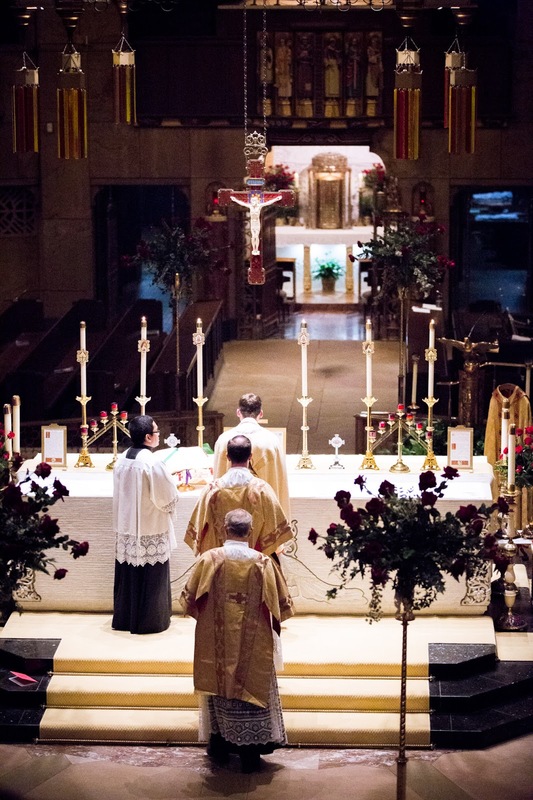 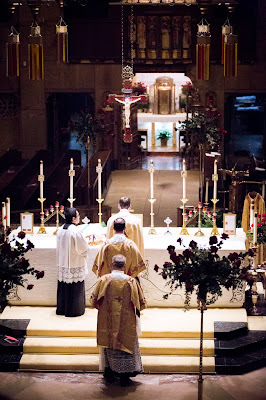 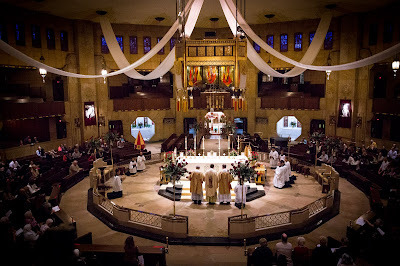 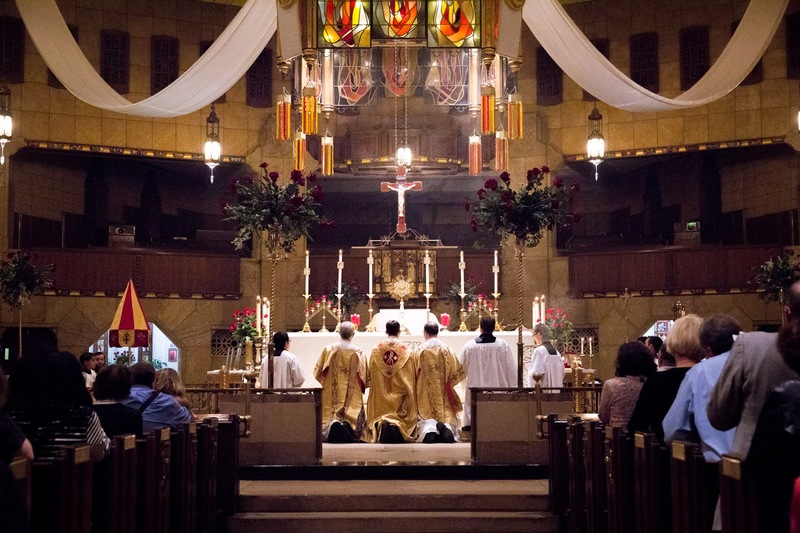 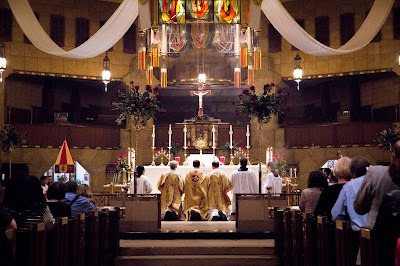 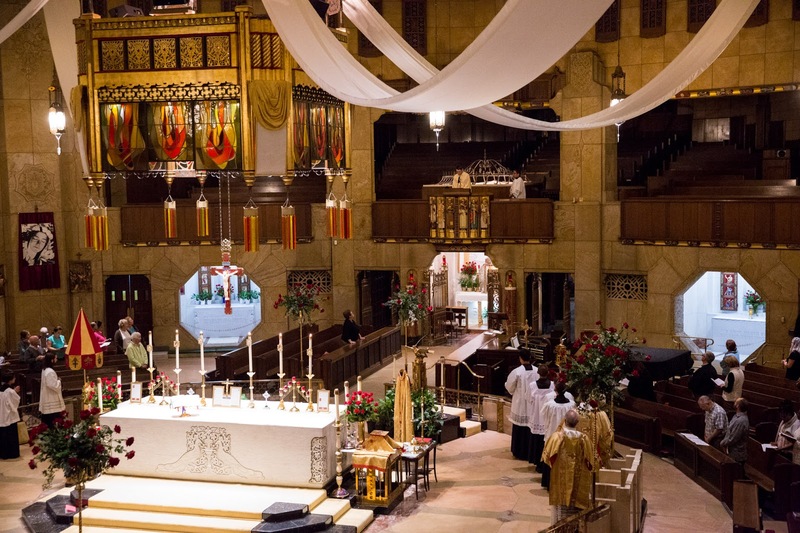 About 500 people attended this incredible evening; as the flyer for the event stated, it was truly an “evening of exquisite beauty and reverence giving glory to God,” celebrating “the Holy Mass in the same form as our the church’s patroness of the Church herself used to pray.” The National Shrine of the Little Flower was granted the title of Minor Basilica by Pope Francis; founded in 1926, and dedicated on October 3, 1936, the church was one of the first named after St. Thérèse, who was canonized in 1925.